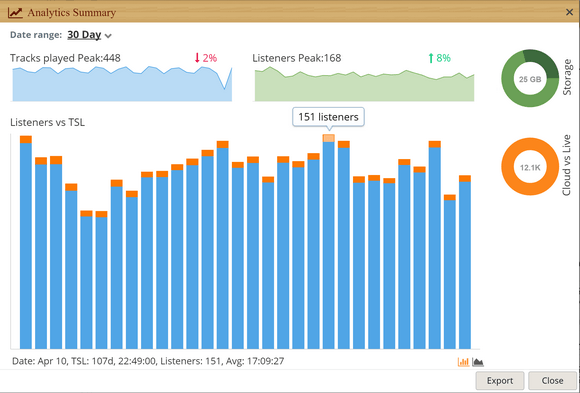 Our code monkeys added visual improvements to the listener statistics which now includes a great new pop-out stats screen for in-depth analysis of your listener statistics (see screenshot below). Social Integration scheduled events – This is currently undergoing in-house testing but keep an eye on social media if you wish to participate in a limited public beta test. Improved handling of larger playlists – With playlists able to contain up to 150,000 items (combined for a single service), we have streamlined the way these are handled to give improved performance.